Here's me. Hope I don't break anyone's monitors. 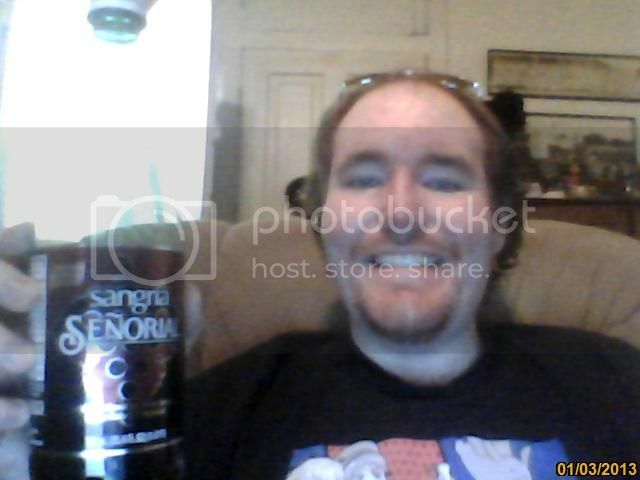 Also, Sangria Senorial is awesome. Very tasty soda there, CQ ! Glad to see this thread revived, looking sharp boyo! Perhaps I'll post a new picture of my ugly mug in the near future, with a beard ! 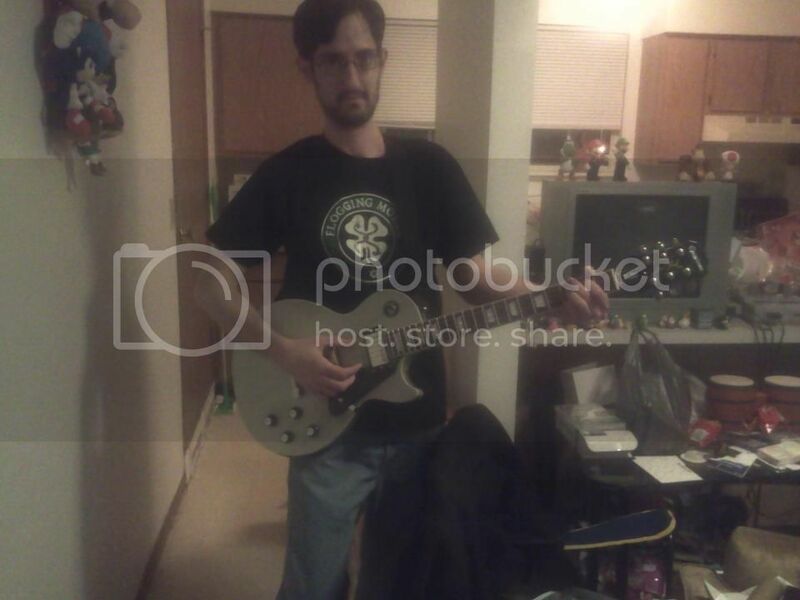 Nice guitar, though, not a Gibson Les Paul I assume? Also, Sonic! If I never get around to starting a YT channel for my sparring sessions the way I had implied, at least I have this pic to show I wasn't all just talk. Yeah all of the toys in the background are my roomate's. The Sonic you see on the left is part of his Smash Bros. wall. All the plushies we can find that are of a character that's been in a Smash game he puts up there. Our friend even made him a Mr. Game and Watch. And that's an Epiphone Limited Edition Les Paul Standard with silver finish. By far the best sounding guitar I've ever owned. 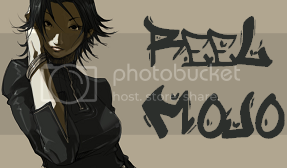 Awesome picture Mojo! Very nice axe indeed, perhaps someday... I will have the guts to post a picture of myself with my own. Me, of course, more or less the same I am/was lately. I like the sparring pic Tobalman. If i ever make a fighting game with digitised sprites you are first in line to be digitised Which one is you in that pic? Mojo wrote :- And that's an Epiphone Limited Edition Les Paul Standard with silver finish. By far the best sounding guitar I've ever owned. Great pic and guitar Mojo. I have a Epiphone Les Paul Custom. I've had it for a few years but actually only recently started using it because I was kind of still stuck on using my beginner's guitar (Peavey Predator) which I got in 1994! 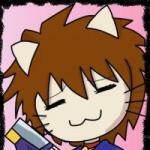 Thanks Riko, I thought you might take a liking to that snapshot. I'm the lean one. That digitized sprite remark got a laugh outta me. On the topic of guitars, I used to covet Les Pauls (though I never owned one). I've acquired a preference for the sounds of Fender now. Time to resurrect this thread once more. 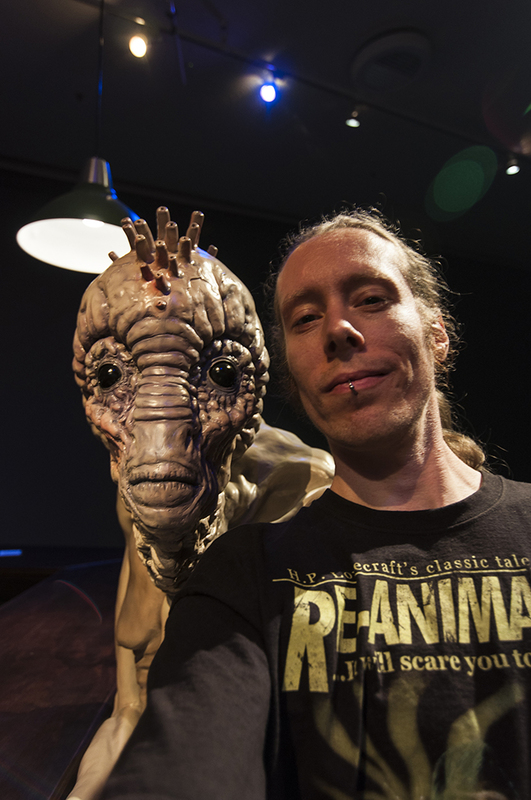 Today I went to the David Cronenberg exhibition in Amsterdam and here's me posing with a Mugwump from the movie Naked Lunch. Also sneakily took some pictures of the rest of the stuff there (they didn't allow photography, but nobody was watching). 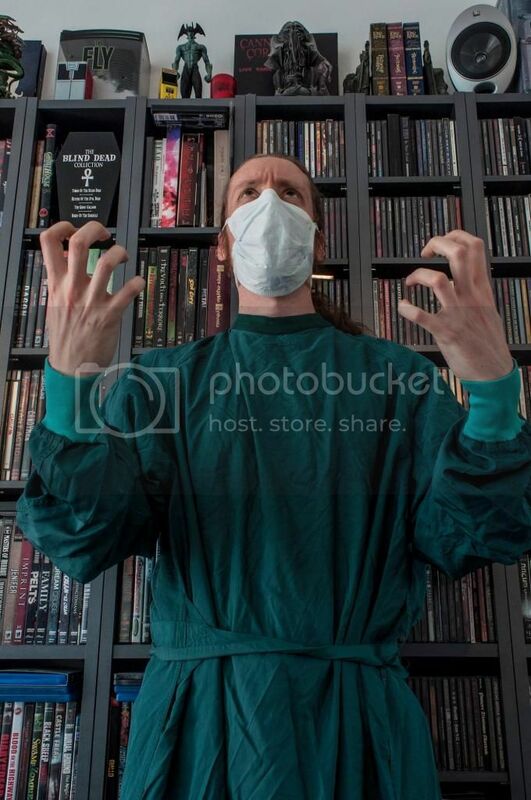 I've seen a handful of Cronenberg's films. Naked Lunch was one that I found entertaining, but I did not "get it". Maybe if I was a drug addict or still a massive drunk, I would. What other films were represented there? BTW: Love the Re-Animator t-shirt, have one myself. All of his movies had either props, script pages, set photographs or storyboard pages present. 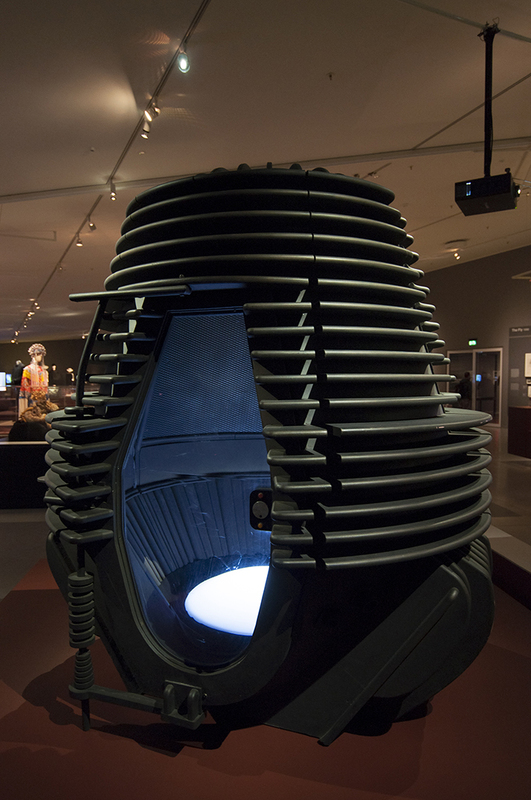 But the ones that had the most actual props were The Fly, Naked Lunch and eXistenZ. Naked Lunch is a great movie, but I didn't get it either...as you said you'd probably have to be an drug addict or alcoholic (or maybe have read the original book it was based upon). 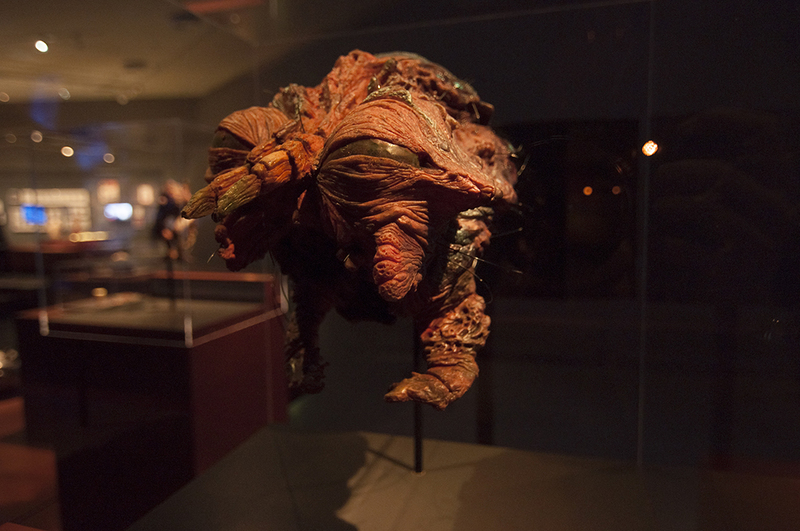 Here's a picture of the original Telepod from The Fly and the original head of The Fly. We need to get this thread going again! Lewis Hamilton has got nothing on me! 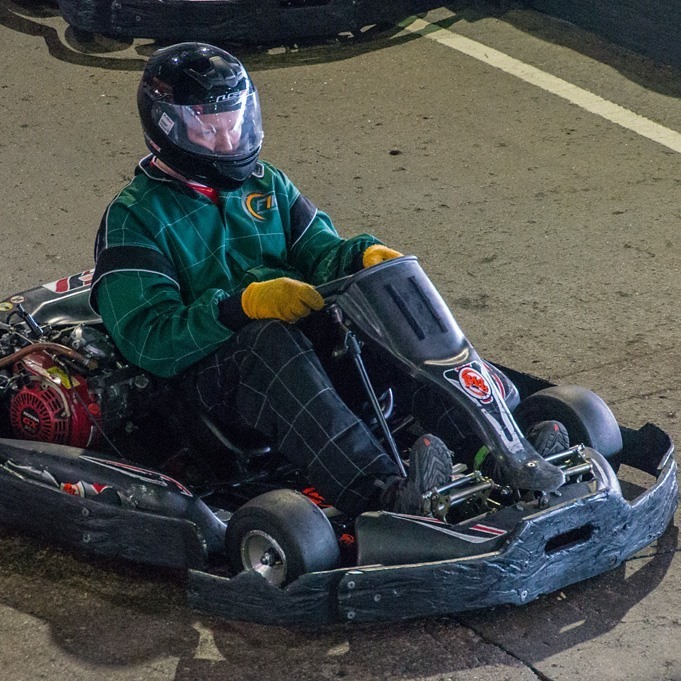 Are Go Kart establishments common in the UK? Been years since I've been on one, I'd prolly crash it. You race on them much Kaz? Yea there's quite a few here. 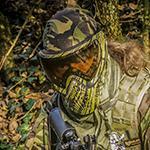 I don't do it often, that pic was from my friends stag party a few months back. They were pretty cool at this place, they did about 50mph top speed so quite nippy! Here's me trying to stomach cold chocolate covered bacon and washing it down with bacon soda. Sounds rather digusting, but still a nice picture! Yeah, I love bacon... but I couldn't eat that stuff.